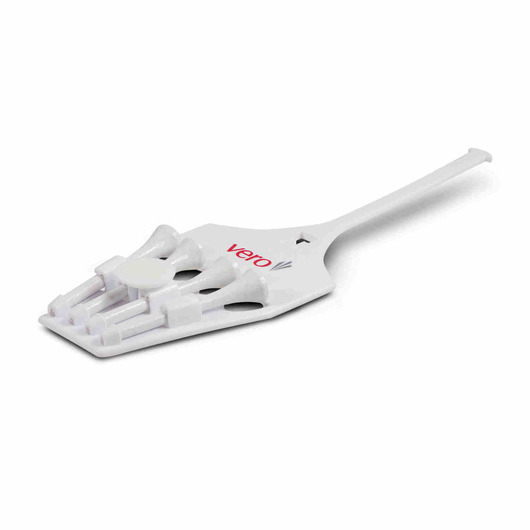 A plastic holder for golf tees and ball marker with flexible plastic strap. This convenient plastic holder has a flexible plastic strap so you can easily attach it to golf bags. It can hold four 55mm golf tees and has a plastic ball marker making it an ideal accessory when you're out on the course.